Small vases and flowers NOT INCLUDED in sale. Cones avg. 7" tall each with textured surface and water repellent. Top 1.5" and Bottom 2.5" diameter. Small vases can be bought at craft store. Stack Cones for height and apply shells, flat marbles, tissue paper, etc. to surface with hot glue gun. 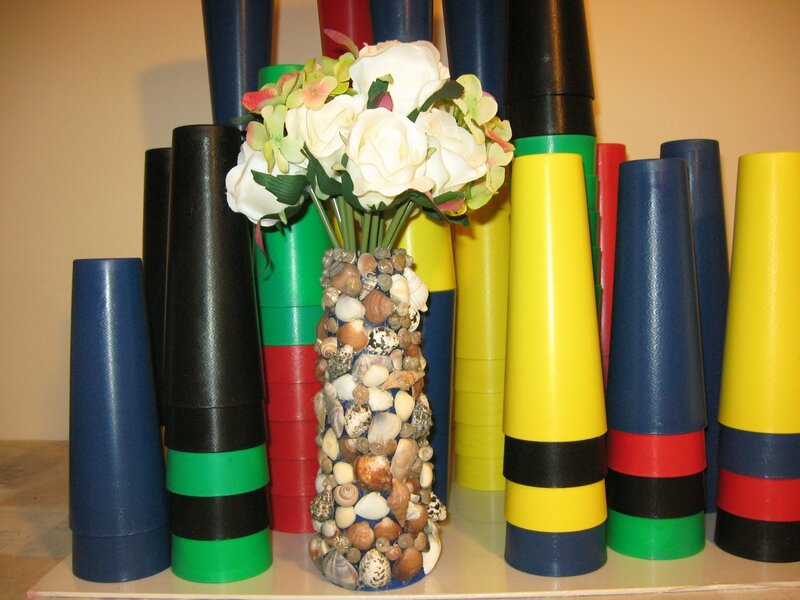 Use Creative Cones without glass vase for Silk Flower arrangements.